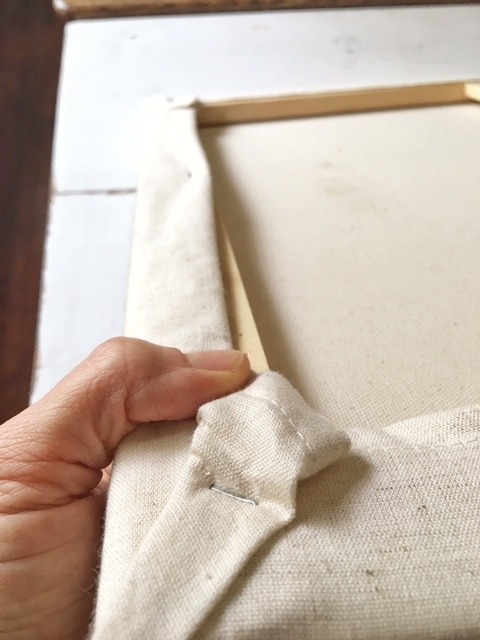 I don’t always have a lot of time to spend doing huge projects and sometimes I just want a quick and easy creative “fix” that gives me a lot of mileage without a lot of time involved. 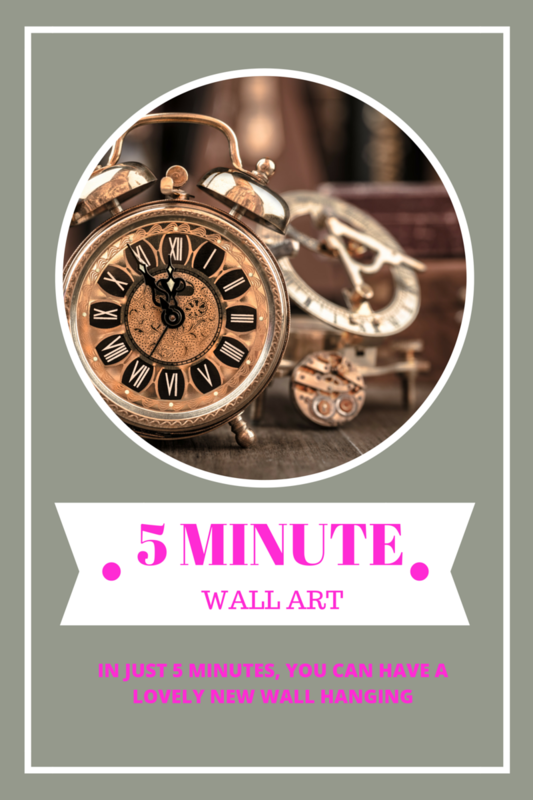 Enter my Five Minute Wall Art idea. I had a great tea towel (that’s what it’s called, although it’s way bigger than any tea towel I have ever seen before) – and because it was so nice, I really didn’t want to use it to dry dishes or wipe hands on. 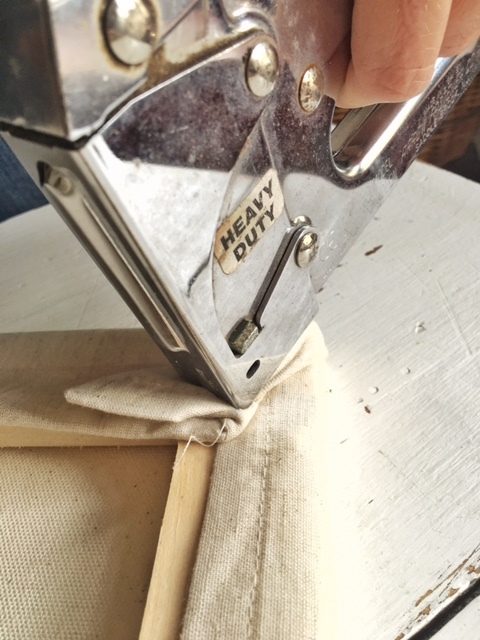 grabbed my staple gun (similar to this one) and went to town. Once I had the towel centered just how I wanted it, I flipped it over carefully – to make sure it stayed in place – then started stapling away. I did the two long sides first, but you could do the two shorter sides first – it doesn’t really matter. The point is to do opposite sides first – this will help ensure that you don’t end up with awkward stretches on the corners. Just work your way up and down your sides until you’re finished. As you can see, I chose to do just three staples per side – this will make for a fast and easy transition when I’m ready for a new look. Once you’ve finished stapling, flip over your beautiful 5 minute wall art and admire the awesome job you just did! Now hang it on your wall. and stand back. Smile. You rock. Have you tried something similar in your home? I’d love to hear about it! So clever, I wondered why I hadn’t thought of it. I bought tea towels for friends as gifts with sayings that were appropriate for each. Now I wish I had done this to them! A new follower so looking forward to your inspiration. 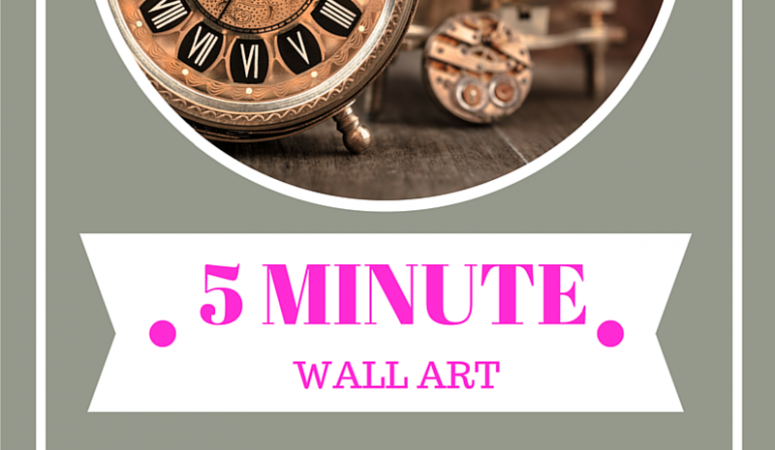 I’m all about doing things quickly…love your wall art…beautiful message!!! This momma needs to find some new tea towels! You are, as always, super duper brillant! Aw, Ang…you are always so encouraging. <3 Thanks for taking the time to comment here! I appreciate it so much. Well, this is just the most clever thing!! It looks just like one of those fancy signs I see all over. You are just the bomb diggity….and so is this fab little wall art piece! Hi Janice! Thanks so much for the sweet comment. I can’t wait to see what you do with it – your projects are always so great! :D Thanks for stopping by and for the kind words. What a fabulous idea Sarah! geez, I have a gazillion old canvases in my garage – I might have to do this soon. Love that tea towel too! Ok this is crazy good! I’m going to have to hunt for some great tea towels like this and make my own picture. Seriously, I love this! I pinned it and shared it, I hope it gets lots of shares!! Thank you Toni! I’m so glad you liked it. 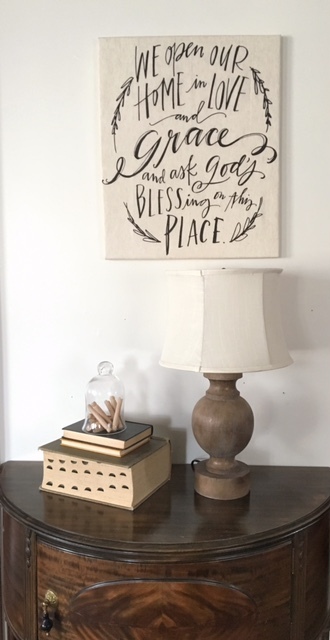 It’s such a fun, easy way to switch out pretty wall art. So happy to have connected with you. What a brilliant idea and I absolutely adore the saying on the tea towel. Love it!! It’s so simple, creative and versatile – brillant!